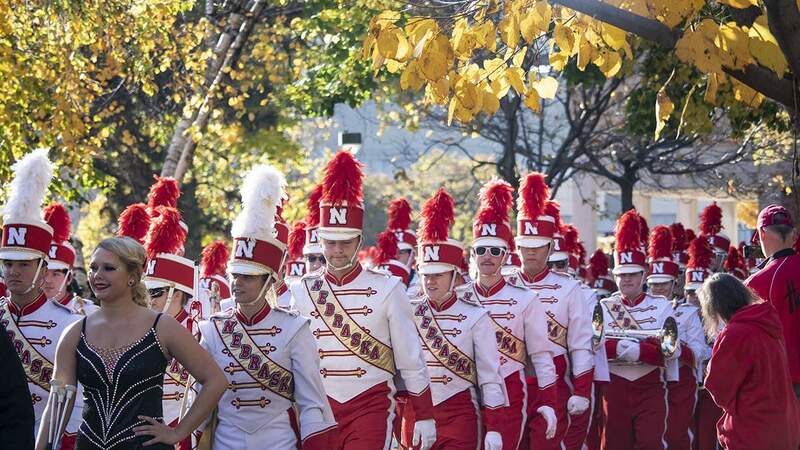 Nebraska 45, Bethune Cookman 9. Photos by Kenny Larabee, KLIN. 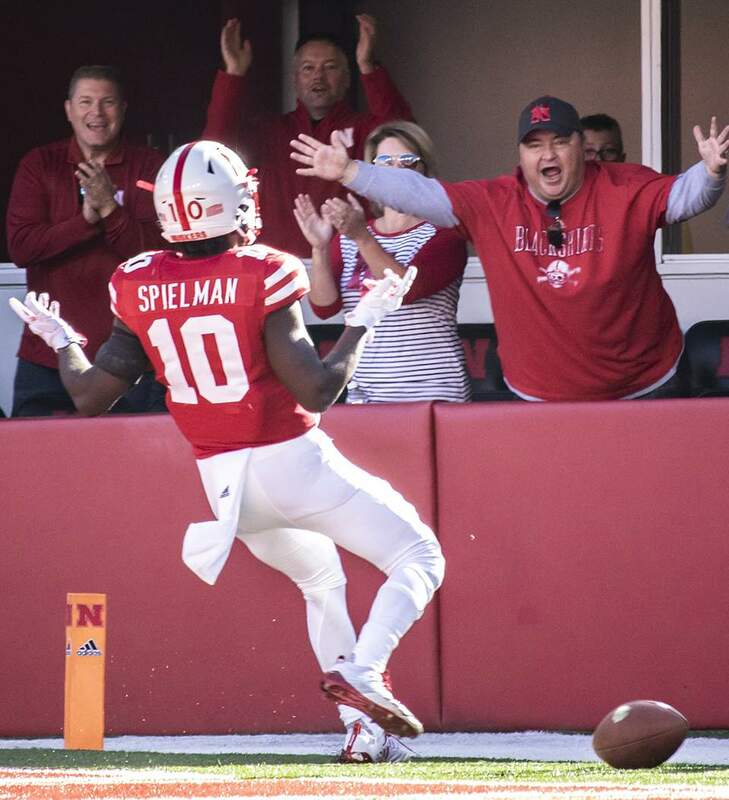 Fans in the end zone celebrate JD Spielman’s 77-yard punt return. 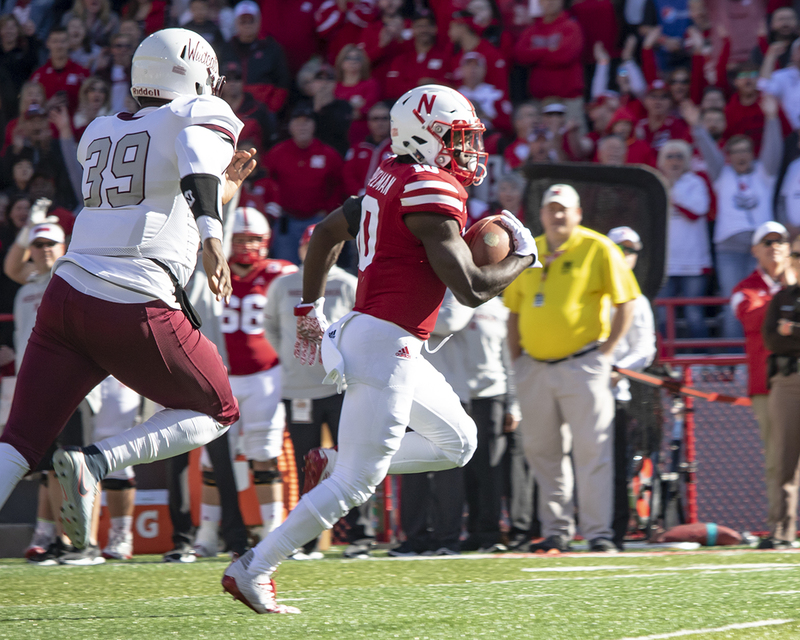 JD Spielman outruns Bethune-Cookman punter Javaunie Francis on his way to a returning a first-quarter punt 77 yards for the Huskers’ second score. 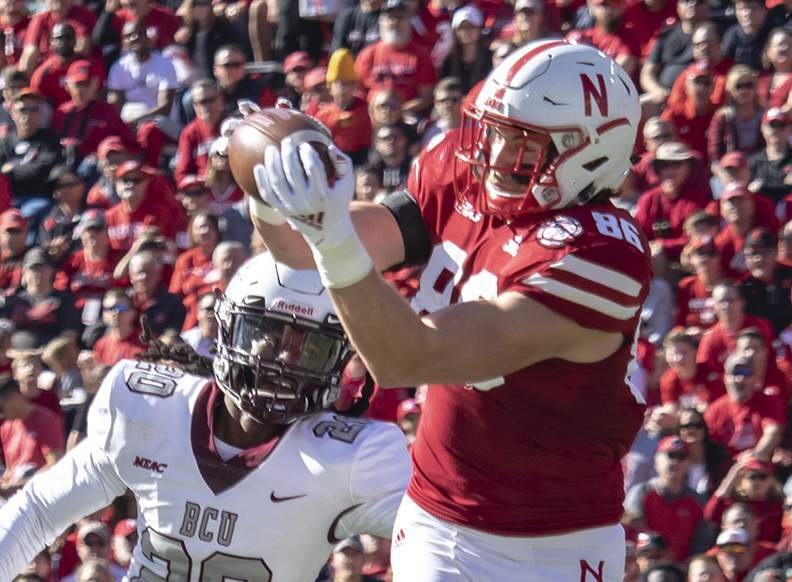 Tight end Jack Stoll hauls in a 37-yard pass from Adrian Martinez during the second quarter. 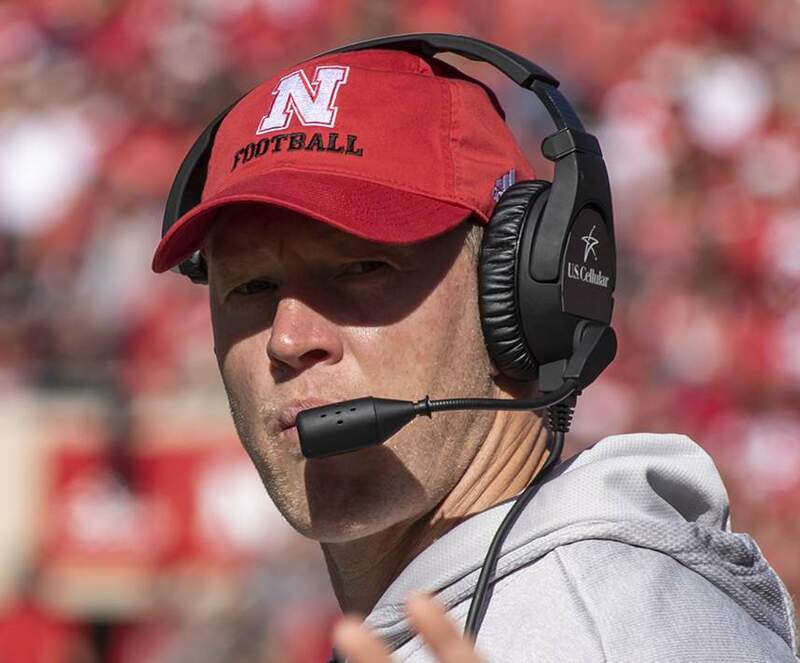 The Huskers scored two plays later on an 8-yard Maurice Washington run. 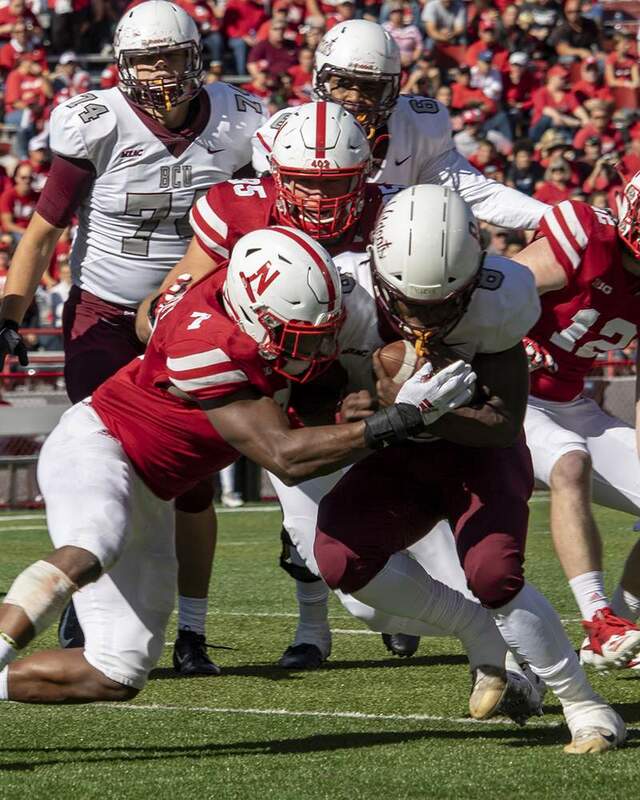 Mohamed Berry led the Blackshirts with 7 tackles and 4 assists. 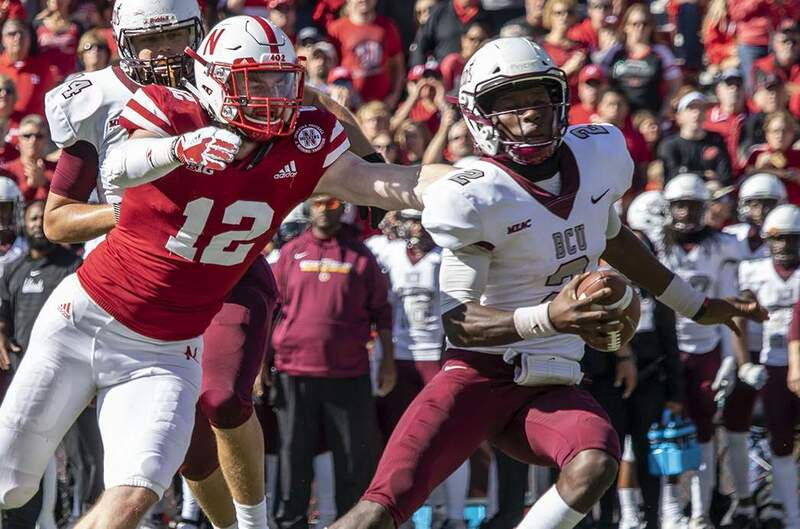 Luke Gifford chases down Bethune-Cookman’s David Israel for a 21-yard sack, ending a Wildcat scoring threat in the third quarter. 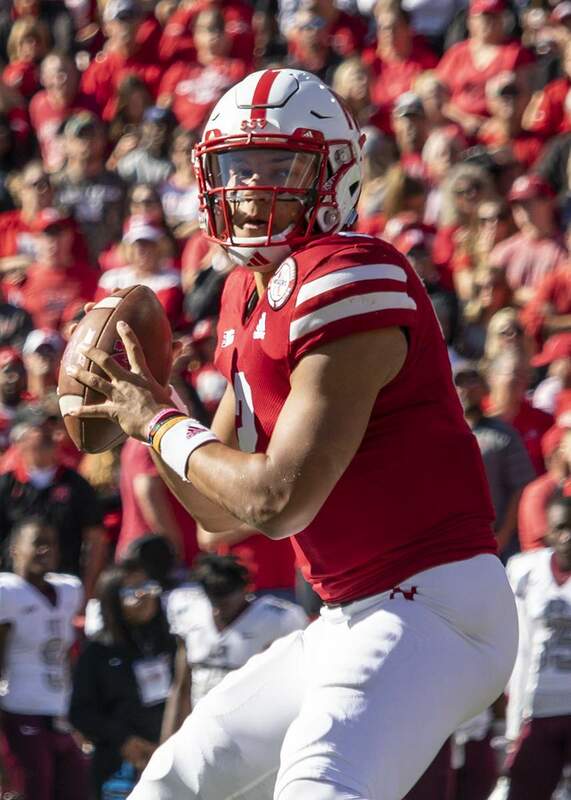 Adrian Martinez gets set to throw. 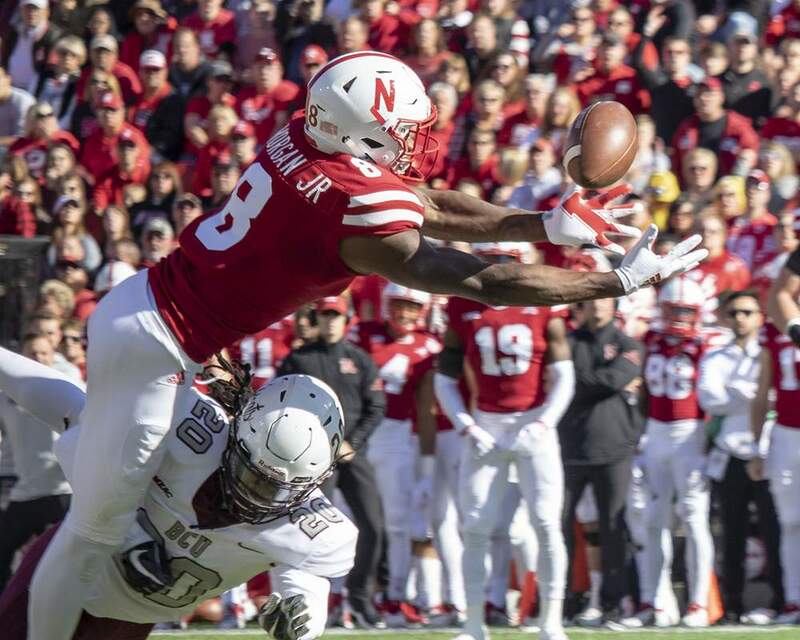 Stanley Morgan Jr. reaches for a pass. 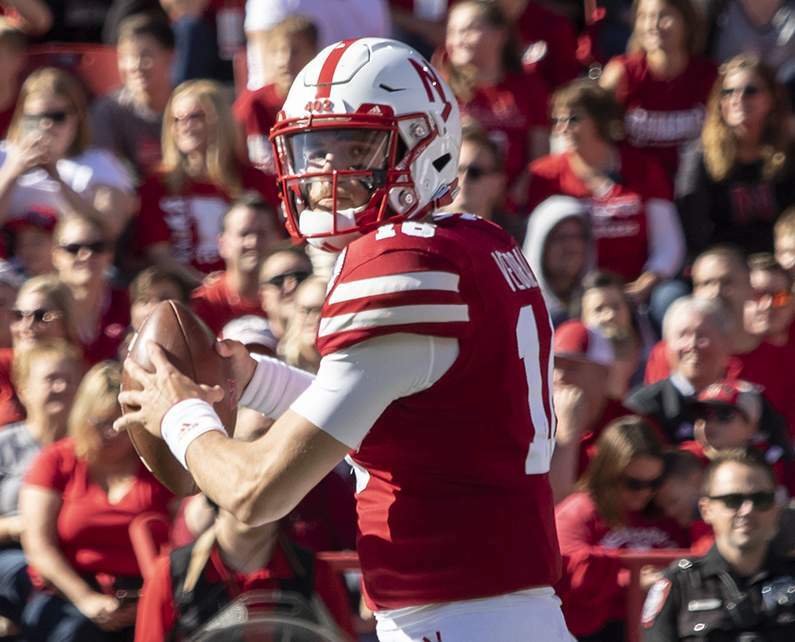 Noah Vedral saw his first game action as a Husker. 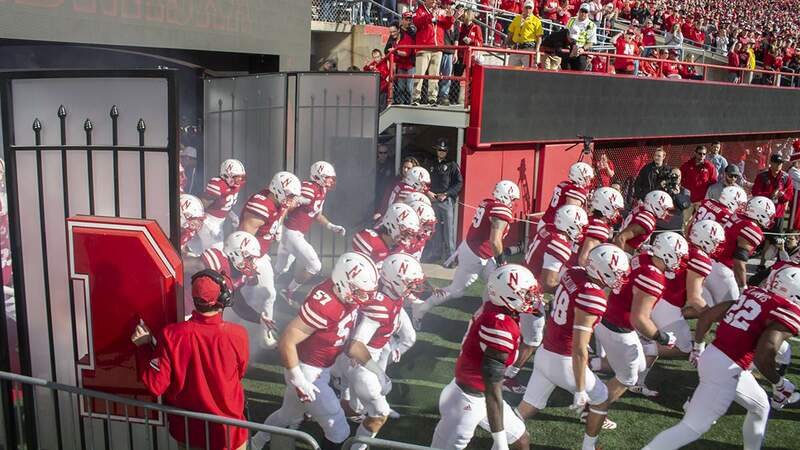 The Huskers enter the field to face Bethune-Cookman.